Historian and educator Jason Goetz looks to the classics as a means for our culture to survive. As author of two sets of histories, one completed and the other in process, Goetz hopes his works will reinvigorate high school history classes and better prepare the next generation. This is crucial, Goetz believes, because the model for how we educate is broken. Amid a polarizing political environment, Goetz worries that what our youth are learning in history and civics classes—often only dates or narratives that scratch the surface—is insufficient. Yet our democracy requires educated voters who are able to discriminate between truth and fiction, which a deeper understanding of history would provide. Also, embodied in our Western history and its classics are our ideals. If education does not provide a deep knowledge of these, our students will lack social cohesion, a way to define themselves, and a source of inspiration. Youth so educated are vulnerable to being radicalized, Goetz believes.”A common history strengthens our ties to a common culture,” he said. When Goetz was in high school his grandfather gave him Encyclopedia Britannica’s 54-volume “Great Books of the Western World” set, but he never cracked them open. In college, when he finally read them, he fell in love. Our democracy requires educated voters who are able to discriminate between truth and fiction, which a deeper understanding of history would provide. Borrowing from American philosopher Mortimer Adler, Goetz defines Great Books as works that have “inspired thinking men” and can be read repeatedly, with benefit. Especially histories, for history is “the fullest exposé of human nature,” he said. “History is a record of what has been tried and what has succeeded and failed,” he said. It can show us “how and why people saw what they perceived as justice [or] injustice in society around them” and how they reacted to those perceptions. If a perceived injustice, did they accept it, try to change it from within the system, or seek redress from without? But meeting history should not come from third-hand sources. 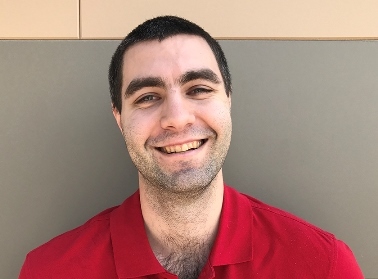 “In order to see how [participants] felt about their own world, you cannot take someone’s word [who’s] writing hundreds or in some cases thousands of years later—which is what our textbooks do,” he said. Today few Great Books are even introduced. 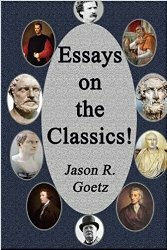 In college, Goetz said, students may be offered one or two classics per semester, which leaves graduates with the knowledge of only eight to sixteen such works and a shallow understanding of Western ideals and ideas. Instead, most students are assigned stupefying textbooks. “No student wants to pick up a 1,000 page, colorless book. He’ll find something else to do with his time,” he said. Goetz’s own works, armed with current references and humor (he calls himself the Great Books Dude), rely on the inspired thinkers of the past to make history come alive. Through his six-volume “Essays on the Classics!” students may regain a common culture by focusing on American history and its writers. These volumes could be called a history of ideas by great thinkers, Goetz said. To help educate the future electorate, Goetz’s second series, “Idols of History,” explores European history and “serves as history colored by ideas,” he said. Goetz does not present the Great Books as gospel; the past cannot save the future by our taking history at face value. 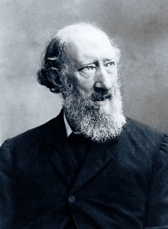 Instead Goetz uses historian Samuel Rawson Gardiner as his exemplar. To see both sides, the Great Books can become tools for understanding history through comparing the accounts with the responses to these texts by philosophers or by other historians, Goetz said. Students can then ferret out the truth and engage in critical thinking, sharpening their minds and enabling them to discriminate between truth and lies. For example, students may read Shakespeare’s historical drama “Richard III” and come away believing that the king was a despicable tyrant who killed his two young nephews, forced himself on the daughter of his brother and predecessor Edward, and otherwise wormed or slaughtered his way to power. History is slanted in the favor of Henry VII, his successor, typically represented as a noble usurper. 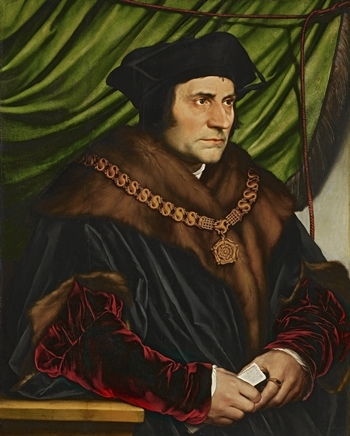 It was principally Sir Thomas More who painted Richard III as evil: ‘little of stature, ill featured of limes, croke[d] backed, his left shoulder much higher than his right, hard favoured of visage … he was malicious, wrathfull, envious…” Shakespeare borrowed from “Holinshed’s Chronicles” (1577) which accepted More’s account. Two hundred years later when Henry’s family, the Tudors, had long since lost power, historians began to reexamine and redeem Richard. 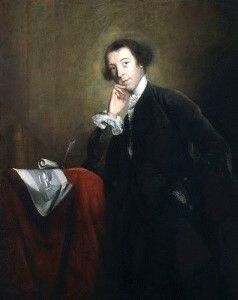 Lord Horace Walpole (1717–1797) looked at the assumptions made about Richard and found that many could not be substantiated or simply would not further Richard’s interests. Goetz says that his own examination of Richard states upfront “that there is a white legend and a black legend” surrounding him. He then lays out each crime attributed to Richard by putting More’s accusations side by side with Walpole’s rebuttals. As far as the two boys, for instance, there is no direct evidence that Richard killed them, Goetz said. In fact, it could have been Henry VII who actually killed them. More says that nobody knew whether they were dead or alive until after Richard was dead—but the only incentive for Richard to kill them would have been to remove the boys who might serve as a rallying point for discontented nobles. Thus, the only value in killing them would come if the world knew they were dead. Yet “all we know is that they were already missing when Henry took the throne and had been put in the tower of London—a luxurious royal residence, not a prison—before that,” Goetz said. After Goetz compares the two accounts, he adds contemporary evidence to undermine More’s account: Richard’s probable remains found in 2012 under an English car park indicate that his body was properly proportioned. And Goetz uses statistics to refute the claims that the rebellion against Richard was widespread. Goetz also considers evidence of Richard’s positive qualities. Richard looked favorably on English reforms at the time, such as granting the right of bail to the jailed, and that of securing rather than appropriating the property of those accused until they might be duly convicted or cleared of a crime. Richard also reduced censorship—which, since tyrants rely on suppression of ideas, directly contradicts More’s account. Most likely More’s account of Richard was his attempt to secure the good graces of Henry VII, as blackening Richard’s name would have supported Henry’s claim on the throne. Certainly More’s career did not suffer for it: More’s “History of King Richard III” came out sometime between 1513 and 1518. By 1518 the public servant was serving on Henry VIII’s Privy Council, and later became Lord Chancellor. Last and perhaps most importantly, Goetz shows other historians who unfortunately used More’s account without assessing it—Sir Winston Churchill, for example. 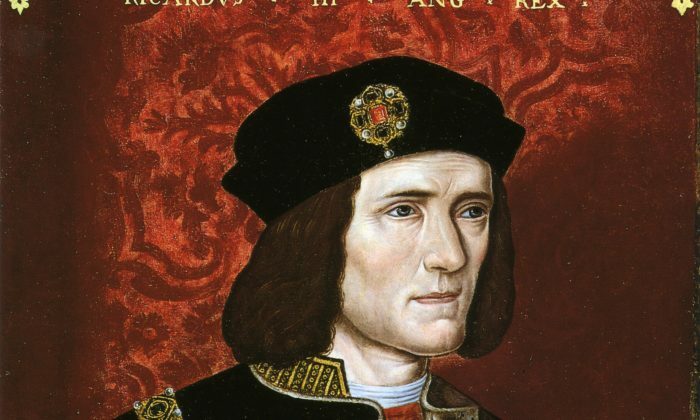 Thus, Goetz not only provides a more balanced portrayal of Richard III, but also demonstrates how history can be slanted—through misattribution of facts, misrepresentation, misuse of language, deliberate vagueness, and so on—by those in the process of making it. In a similar way, he explores many complex historical events, highlighting factual inconsistencies in order to arrive at reasonable conclusions—including, on occasion, the conclusion that there are no certain answers. By seeing and then utilizing the same measures to approach what our political and intellectual leaders say, students will be able to see the false claims unfolding today, and revisit history with open eyes. “With a startlingly few exceptions (headed by Washington on the good side and Hitler on the bad side–and that only after their lifetimes) historians have debated all leaders’ characters and deeds and no unanimous judgment has been found,” Goetz said. It’s even truer of contemporary figures who later become historic. “This is why the study of More and Walpole is so important, and why our history curriculum is failing: It is teaching students to assess historical figures from only one viewpoint and without serious depth or complexity,” Goetz said. If Goetz, by working with high schools across the America, can pass on Gardiner’s ideals to our youth, and if by so doing they can learn to look past bias for the truth and see the good in the other side, our country’s political wounds might begin to heal.